Talk Nerdy To Me: Good idea!!! 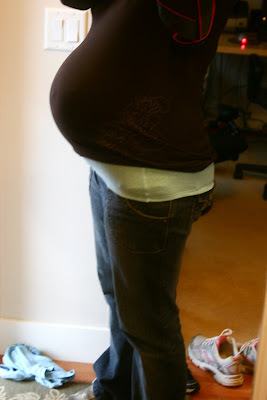 In my last post (like 2 hours ago), I complained that my belly was protuding from under my shirts. My friend Dana pointed me to a blog that had a great suggestion! 1. 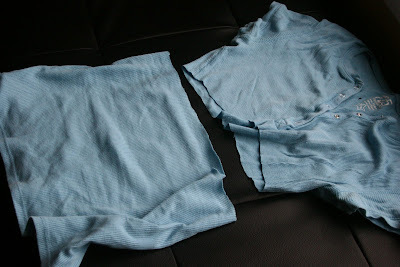 I took a T-shirt that had a hole in it anyway (or use one that is too short now anyway due to style changes etc!) 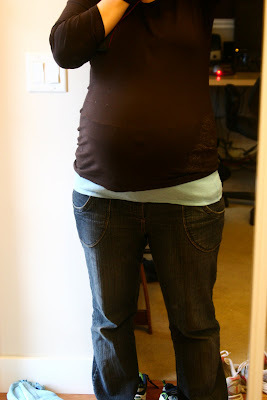 The lady on the blog also tried one with a camisole and just cut off the straps. You can see the seam of it but I think I might make another one...Yay! That is awesome, Im going to have to show Erin that one! DANG, but I wish I'd known about that idea! sweet! I also look forward to seeing you in the belly shirt. perhaps I'll make my own and bless you all with a view of my stretch marks? what a great idea. i know you can buy those, but "makeing" them is way better. i'll have to remember that for next time. I actually learned that trick from a friend who's shirts shrunk; I guess it would make sense for you too! lookin' good! Good thing layers are 'in'!